Purchase From NeuFashion US ONLY! The other sellers will only sell fake copies and ship form China! We only offer domestic shipping.The new inventory will be availble with in 5 days. NeufashionUS is committed to select high-quality top trendy innovation baby product and bring them in to the USA. We guarantee 100% satisfaction. If you have any question, just contact us! We only ship from US domestic,don't buy fake copy from other sellers. 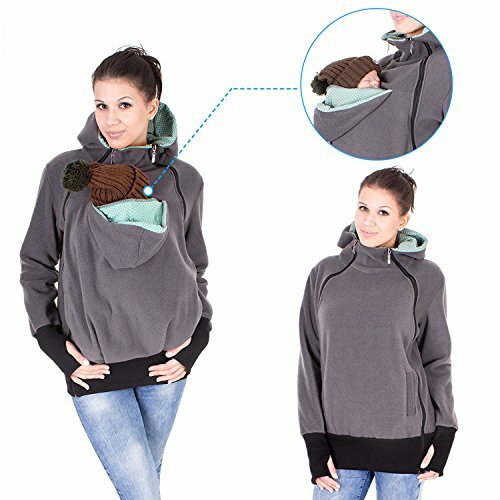 Enhanced quality: The Neufashion baby carrier hoodie is made of High quality thick polar fleece fabric, weight about 1.5lb, super soft super warm, protect moms and baby from wind and cold. If you have any questions about this product by NeuFashion, contact us by completing and submitting the form below. If you are looking for a specif part number, please include it with your message.